Home » Superior Business Solutions » Are You Unintentionally Hiding Your Brand? In a recent blog for Superior Business Solutions, my brother and VP Tim English asked the question, are you ashamed of your brand? At face value, this seems like a silly question, but when you look at all of the missed opportunities to promote your brand, all of a sudden the question isn’t so crazy. Find out if you are missing any promotional marketing opportunities to spread your branding message. Promotional items are essentially any items that feature your brand’s marketing information. From reusable bags to travel coffee mugs to pens and more, there are a lot of products that can be customized with your info. You know who your demographic is and what they like, so select a product that will be useful and appeal to your customers. The more your customers, vendors and other connections use your custom branded gear, the more they will become familiar with your brand’s information, and the more they will spread your info to a wider audience. Most brands take advantage of promoting their business with customized products at trade shows and other industry events. Branded promotional products are proven to increase a brand awareness and recognition during an event, and even long after the event is over. The right promotional products can cause a buzz during a trade show or event and help drive attendees and other members of the industry to your booth. However, there are plenty of times, in addition to trade shows and events, when customized gear is a great fit and can do wonders to expand a brand’s reach. Your business likely has a number of supports who for whatever reason, may be unable to attend trade shows where you are exhibiting. This is a missed opportunity to get your branded promotional products into the hands of people who will help to support and grow your brand. There are plenty of times when you can give customized promotional products to customers, employees, vendors and others. Are You Ashamed of Your Business? Tim explains in his post why some companies choose not to promote their brand using custom promotional products, and how this can hurt their brand. Some businesses feel it is inappropriate to self-promote in some circumstances, but this is just not the case. From holiday gifts to special thank you gifts and more, handing out branded promotional products is a great way to show key players they are valued, appreciated and give them a useful memento of your brand. 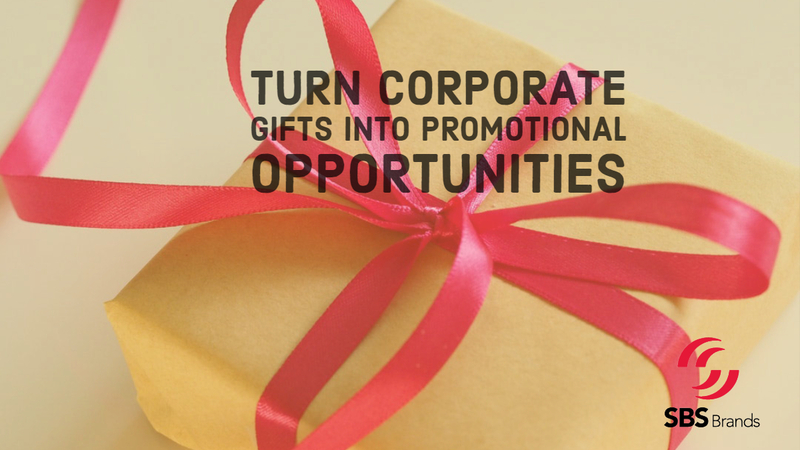 Find out the three reasons Tim shared why he believes promotional items make perfect sense as corporate and executive gifts. Want to learn more and find out how you can promote your brand with customized products? We’re here to help!